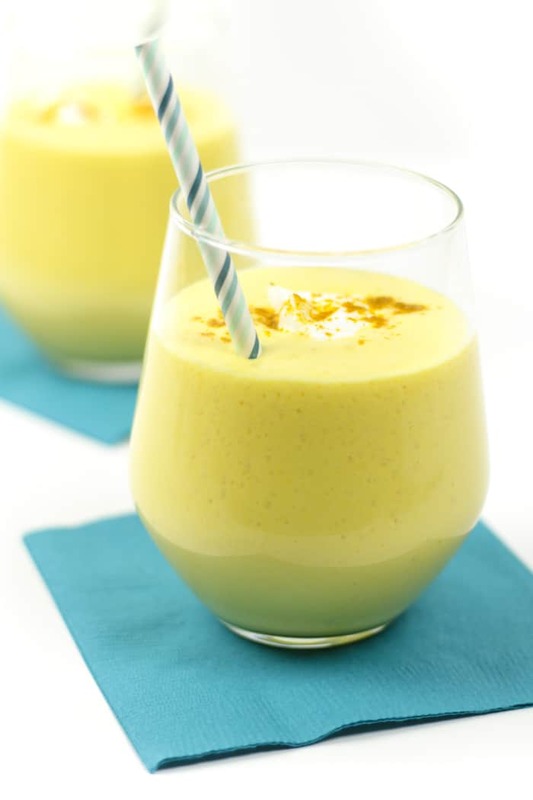 Sweet and savory at once, kick off your morning with a Mango Lassi Smoothie. 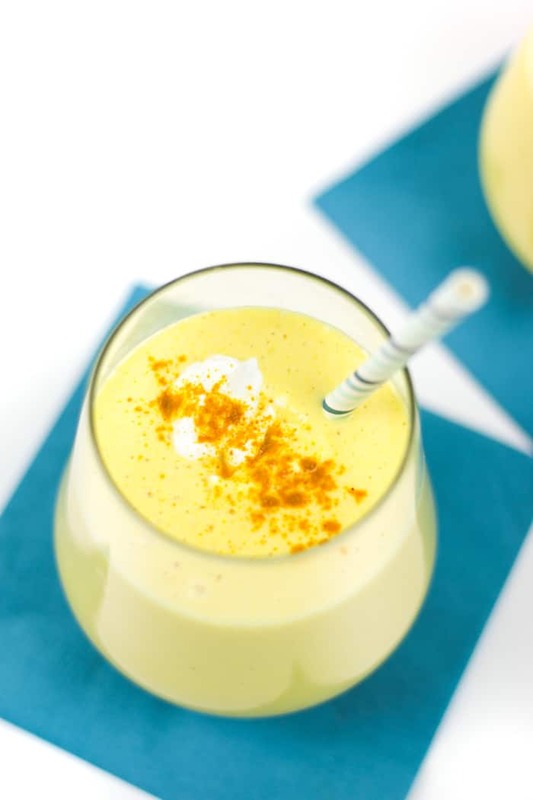 Inspired by a popular Indian beverage, this liquid breakfast flavored with honey, turmeric and cumin is the best way to start the day. Breakfast on a weekday is always a struggle for me. 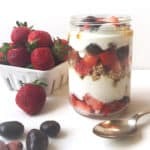 As much as I love waffles and eggs benedict on the weekend, those more complicated-yet-delicious recipes do not make sense for me in the mornings. I’ve never been a morning person, so easy, nutritious breakfasts are my thing. 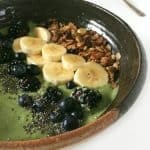 While I would love to enjoy homemade pancakes and such on a weekday, smoothies are my go-to on a busy morning. 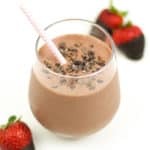 This Mango Lassi Smoothie has been in our rotation for a few months (along with this Chocolate Covered Strawberry Smoothie and this Chocolate Peanut Butter Power Smoothie). It’s a breakfast version of a drink popular in India, the lassi. You can sometimes find these savory drinks in Indian restaurants here. Typically, lassis are savory drinks made with yogurt and spices, sometimes fruit. I love the sweet and savory notes in this drink. 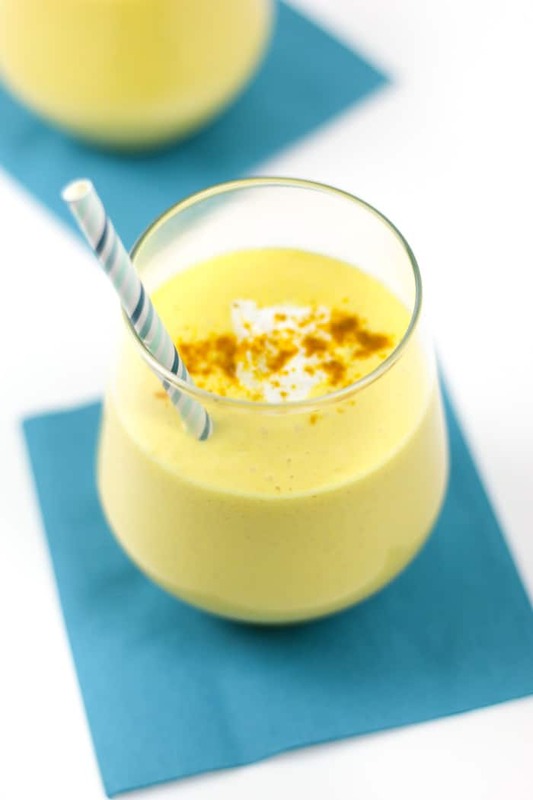 This one contains mango, almond milk, greek yogurt, honey and spices. The turmeric and cumin really lend a lovely wordly flavor to this breakfast. Usually lassis are made with room temperature ingredients, which you can totally do, but I like my smoothies on the colder side. If you’re like me, opt for frozen mango. Or, you can use fresh mango and simply add a few cubes of ice. 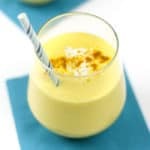 The Mango Lassi Smoothie is perfect for a busy morning, so if you have one coming up, add this recipe to your rotation for something really different. So cool and refreshing! 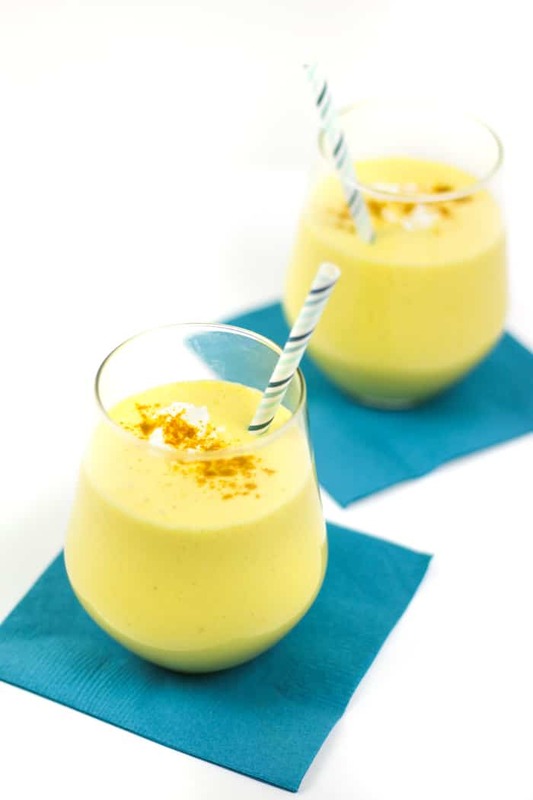 Pin this Mango Lassi Smoothie recipe for later! 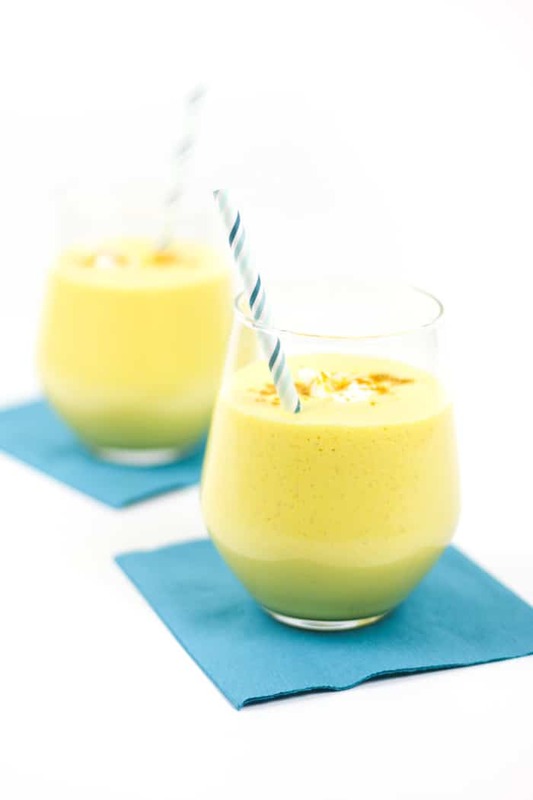 In a blender, add the almond milk, honey, yogurt, mango, turmeric, cumin and salt. Blend until the mixture is smooth. Hi Susannah, would you say this makes just one smoothie? Or is this for two? 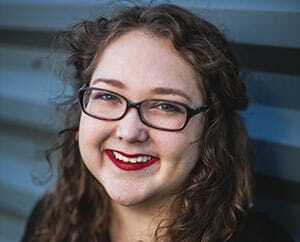 Hi Stacey! 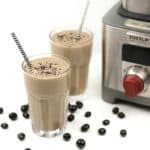 This recipe makes two smoothies. You can absolutely halve it if you like! Sometimes if I have leftover smoothie, I stick it in the fridge for a snack later, or I will freeze it into an ice cube tray to make into a smoothie another day. I hope that helps! Enjoy!